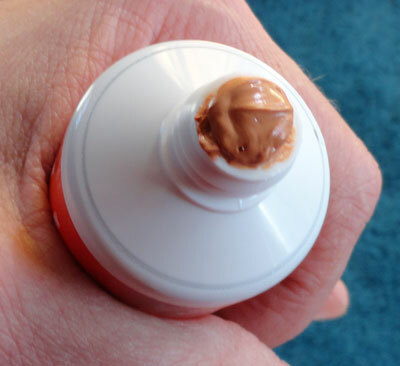 As you can see, the paste has a light brick-red color - quite a bit less saturated than the packaging seems to indicate. 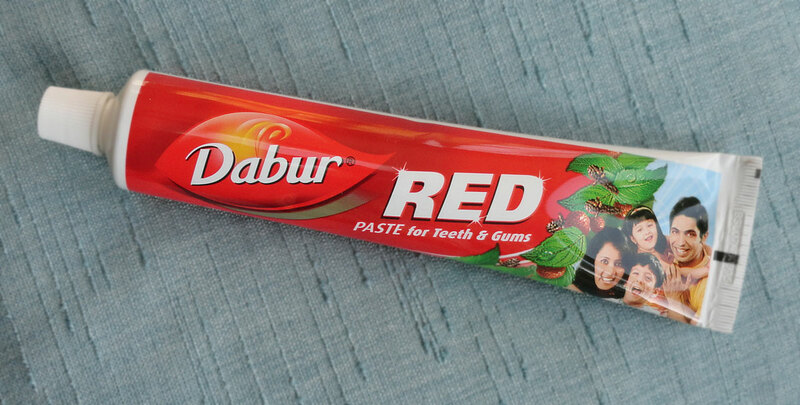 But that's good - the package's bright color red would not seem as healthy as the more natural red of the paste. Dabur is a very large Indian company that is even listed on the India Stock Exchange. I've reviewed several of their toothpastes, as they are widely available around the world. I bought this tube at Indian Bazaar in Irving, Texas, which is conveniently located near my sister's house. Another fascinating thing about the package is that it does not tout any health benefits for using the toothpaste. Visiting the Red Paste page on the Dabur website provides a bit more information, such as how the ingredient Pudina Satva helps prevent bad breath and toothaches. I asked my daughter Rachel to try Dabur Red: "It tastes like India. It tastes like culture." I always enjoy a stroll in the Toothpaste Museum!